1. We have now studied three revolutions, the English, the French and the American. Brainstorm Briefly what happened in them. Based on that, what do you think would be a good definition for the word “revolution”. Put their ideas on the board. What do you think an industrial revolution would be? What may cause a revolution? REVOLUTION: Forcible overthrow of a government or social order in favor of a new system. Dramatic and wide ranging change in the way something works or is organized or in people’s ideas about it. The industrial revolution is a revolution that still impacts us today. 2. Mr. Fitton showed "Crash Course in History - The Industrial Revolution." First 2.5 minutes to reveal how it still impacts humanity to this day. 4. Mr. Fitton and the class looked at: http://www.washingtonpost.com/national/health-science/humans-staggering-effect-on-earth/2015/05/13/01c9b7e2-f974-11e4-9030-b4732caefe81_gallery.html A Washington Post article on the staggering impact humans have on earth. This makes fun of things that went on during the industrial revolution. What are something things he makes fun of that you can assume were going on during the industrial revolution? 6. Go on Scavenger Hunt to fill in Industrial and Agricultural Revolution Matrix. Explain Rules. Mr. Fitton will provide a "Unit Matrix." Students are to go around the school and collect data based on the scavenger hunt and place into the fill in the blanks. 7. Hand out chapter questions and begin working on them. 1. Review yesterday, discuss some potential good aspects of the Agricultural Revolution and some bad aspects. -Means a great change. A move from subsistence farming to business farming. -Small strips are consolidated (Enclosure). Big farms = easier to manage + profitable. -Not just to support selves any more. -new breeds of plants and animals created (high yield) – lends support to the industrial revolutions. ​-New technology/ideas (acre produces more crop – see drill [jethro tull], Lord Townshend – rotate crops with ones that return nutrients, so do not have to leave ground fallow = 1/3 more productivity each year.) Turnips/clover can be used to feed animals too, so more animals. 1. 5 Show video clip "What if the Industrial Revolution never happened?" An interesting look at why this unit is relevant. 2. Ask them what the following quote means: "Rule, Britannia! rule the waves: Britons never will be slaves." 3. Show clip on British Empire (Horrible Histories The British Empire News Report). Mr. Fitton has saved as "The British Empire Report" on his computer. 4. Show "British Things" video to introduce how we are going to discuss Colonialism and trade. -Divide class into 6 small groups. Each group receives 1 short writing on one of Britain’s colonies, and each member receives an organizer to fill in. They are to gather the required information by reading and filling in their organizer. Included is a mapping exercise that has them shade in where each colony was. -Have each group choose a spokesperson and fill in the organizer completely as presentations are given. – they can put it onto an overhead that I circulate. 7. Work on chapter questions for the rest of class. 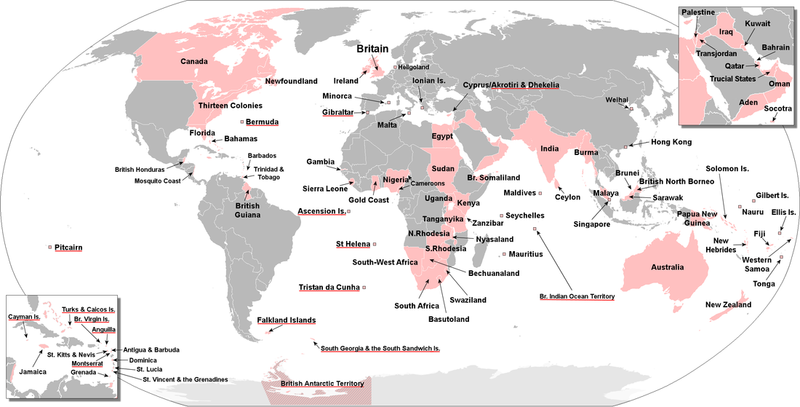 Map of British Colonial Possessions - "The Sun Never Sets on the British Empire." 1. Go over Phrases: “The Sun Never Sets on the British Empire” and “Rule Britannia, Britannia rules the Waves,” review the colonies and the products that Britain got them from. Have students take out the notes from last class on the colonies. Get them to list the colonies and which items came from each one. 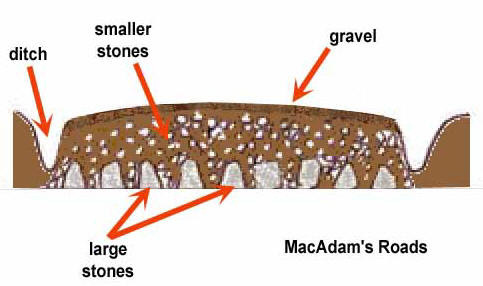 -Macadam roads: three layers of graded stone with largest stones at bottom and fine gravel on top, slop road to side so water rolls off. -FIELD TRIP - Take class out to the road that goes between the class across the hall and the portable. (show them one on the road outside the portable) Explain why it would be sloped, and why it would have rocks/sand (helps with drainage) - that's why it doesn't bog down. 7. Trains: Read page 142 as a class: discuss dangers of trains and high-speed travel. Watch crash course to see how trains changed people's lives (much like the internet has changed ours). 9. Work on Chapter Questions until end of the class. 1. Play the first 45 seconds of Paper Planes by MIA. Ask the kids: Who likes money? Who wants to make a lot of it? How do you do that? Factory System: Organize labour around machines. Too big for houses. Work comes to a central location (factory). Leads to time management, easier to supervise and regulate. Wages kept deliberately low (maximize profits.). Cottage Industry: Involves whole family, product made at home. 3. 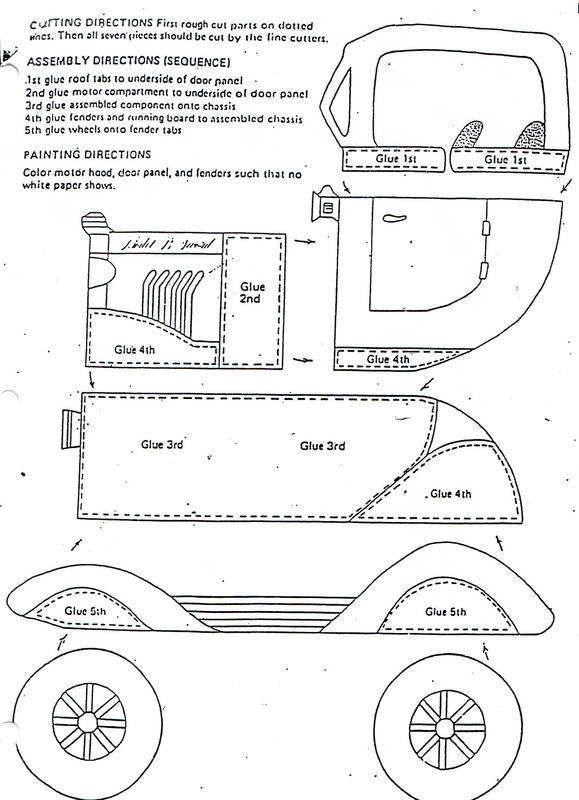 Cottage industry cars – get students to each make a car. Must be perfect – best car wins part of a chocolate bar. 4. When done work on chapter questions. B. Get ready to play some Gregorian chants, dark music, heavy metal to create atmosphere. C. Give instructions to students: OVERHEAD ATTACHED. D. Some jobs may appear two times. – need boxes for finished products. E. During simulation, be sure to yell at kids and drive them hard. Rip up cars, assign someone the job of crawling along the floor picking up scraps. F. Prize to team with most cars made. 3. How do you feel about these cars? Class discussion. 2. Have students to copy down the notes on the "Luddites." Open document below and have students copy down "Cornell Style"
-Ask them if it reminds them of yesterday's simulation. 4. Read P. 147-148 as a class and discuss what students already know about the concept of child labour. 5. Activity: Put "Sweatshops on the Board" have students write down what they already know. 6. Activity: Get them to check their clothing tags – see where each item was made. Put on board. See where each item was manufactured. (Find it on a map?) Put up a world map on the computer, or use the maps on the side board. See if students can point out any of the countries their clothes come from. 7. Ask students take out a piece of paper. They will watch three documentaries today and have to write down five interesting things from each. We are going to be looking at modern day child labour and sweatshops to see the link to the past that we are studying. URLS are Below, and so are the videos. URLS are in case the video does not work. After each video, stop and give 2 minutes to write down what they found interesting. Discuss as a class and then go to the next video. 8. If time, have students take out their chapter questions. Most should be done. Write down "9-21 on the board, vertically - these correspond to questions from the chapter questions. -Ask students who is done the questions - get those who are done to do the last questions, and those who are not done to do the earlier questions - each student should get a question. -Get them to write the answers on the board big enough for people to see. Students who have not finished need to copy the answers. We will also go over them next day. 10. Open Book Industrial Revolution Unit Test! 11. Distribute a copy of the Final Exam to Students so they know in advance and can prepare. 12. Conduct a course evaluation. Students write to Mr. Fitton things he is doing well, things he needs to work on, things they would like removed from the course and things they would like to have seen added.